If you are looking for a different variety of dishes around Taft, Caric's Republic will be there to save the day! It offers wide choices among 5 categories namely: Sizzling Favorites, Seafood, Poultry, Pork and Beef! Just see it yourself (through the help of the photo below)! 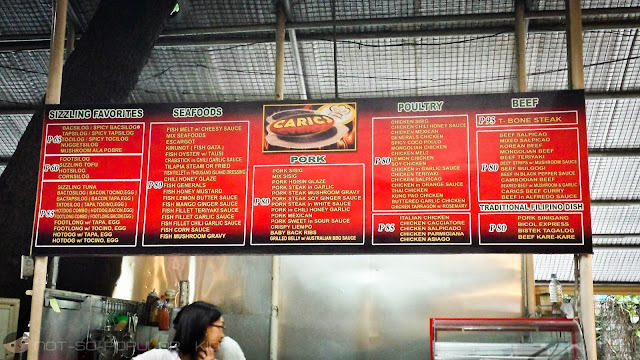 You may also see the prices of each of the specific dish through the same photo. In this blog post, I'll be featuring three dishes (but I'll add more when I get the opportunity to do so) namely, Chicken Melt, Sizzling Tofu and Chicken Asiago. 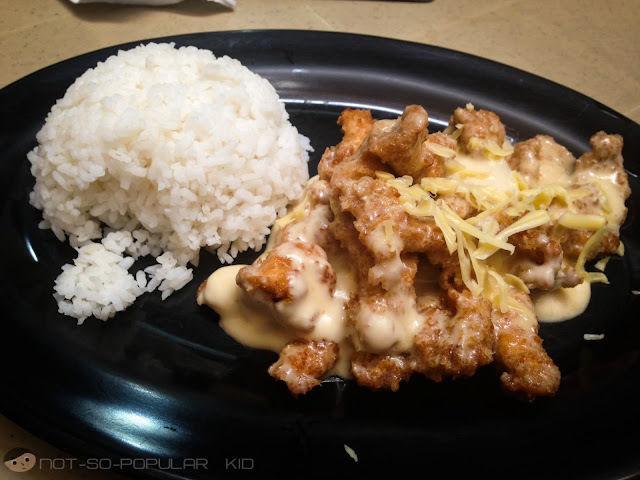 Served with an ample portion of chicken, this dish features a thick, creamy and cheesy flavor marked with an adequate hint of sweetness. If you can't get enough of the sauce, you may want to add more of the famous "Cheese Sauce" for free. 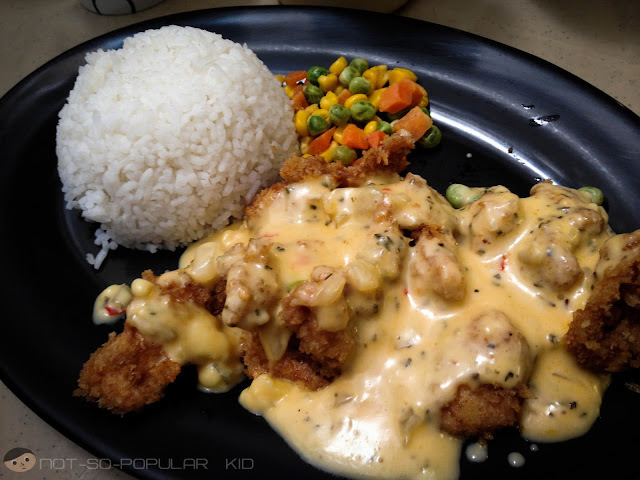 In fact, students usually pour some sauce on top of the rice because of the interesting taste of the sauce. 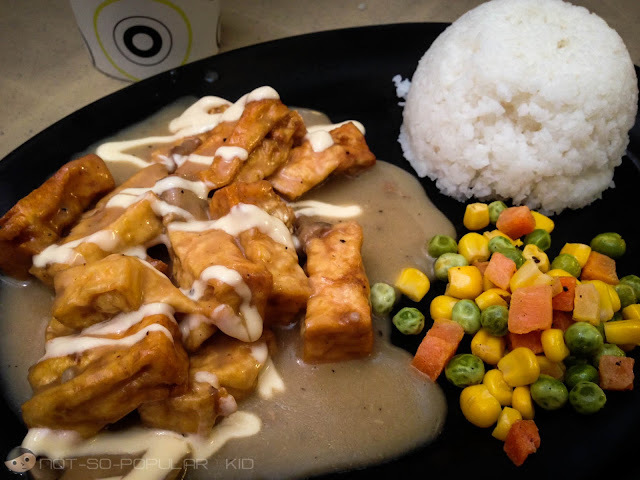 Cooked in a gravy-like sauce, this Sizzling Tofu is highlighted by a mildly salty savory taste balanced by the cheese sauce on top. However, I'm not a big fan of this dish because of the texture of the Tofu which I deem slightly rough. My friends, on the other hand, contested this and said that they really love everything about it. Thus, I give you the responsibility to find it out yourself! PS: Don't order this if you are entirely famished because this dish may not be so sufficient to satisfy your hunger. On the contrary, this is perfect for those who are counting calories. Now, here's something new and exiting from Caric's Republic: Chicken Asiago at P85! Bursting with potent and exciting flavors, this Chicken Asiago resembles the Chicken Melt, but only better! The sauce which is infused with herbs and spices, is loaded with creaminess, controlled spiciness and awesomeness that makes the entire chicken dish exciting! This Chicken Asiago became an instant favorite the moment I savored the unique play of flavors. Well, that wraps up this blog post! 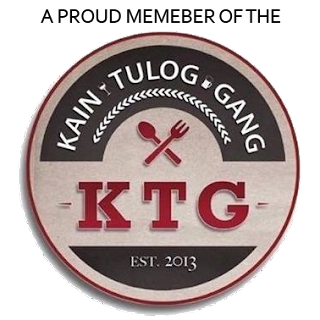 Check out the other food stops around DLSU by clicking on the button below! Special thanks to Pam Chua and Mika Aurelio for letting me use their phones to take the photos! 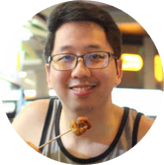 Start exploring Taft Food Places!